Black Vinyl Edition - Limited to 75 Copies! 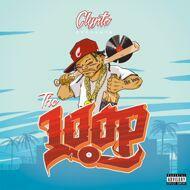 Clypto & de Rap Winkel finally release the compilation album The Loop on limited vinyl. With features like Daniel Son, Recognize Ali, SmooVth, Hus Kingpin, Realio Sparkzwell, Supreme Cerebral a.o.